Zapi controllers all have a serial output that is able to communicate with the external systems, such as personal computers. Zapi has developed an intelligent microprocessor based console, with a liquid crystal display, and various programming keys. maximum current, braking, acceleration rate, creep speed, 1st level of speed reduction, 2nd level of speed reduction. 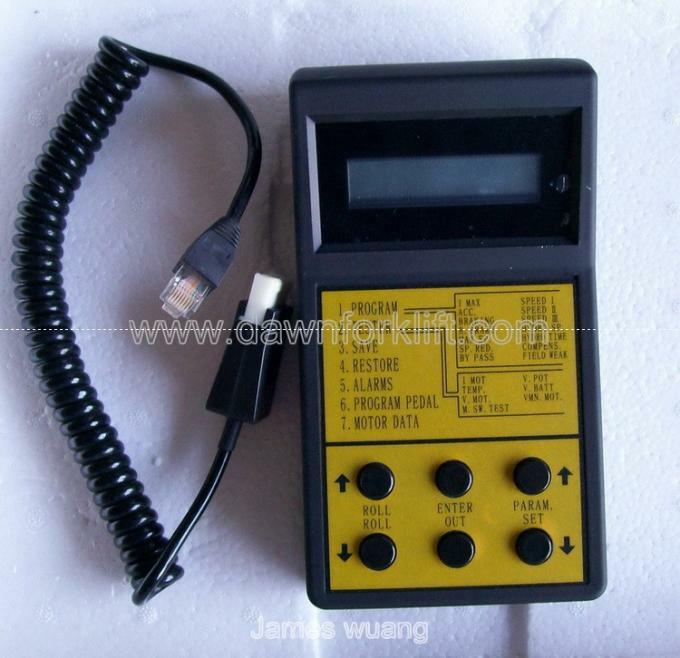 provides a visual display of the analogue and digital measurements within the chopper (battery voltage, motor voltage, motor current, temperature, potentiometer voltage). enables a fast and digital return of previously set parameters. This may be used to programme machines that need to have the same operating characteristics. ALARMS: this function visually displays the last 5 faults.